The NEW Aqua Source Synergy Combi Drum Filters have been developed and made by Koi keepers, for Koi keepers. 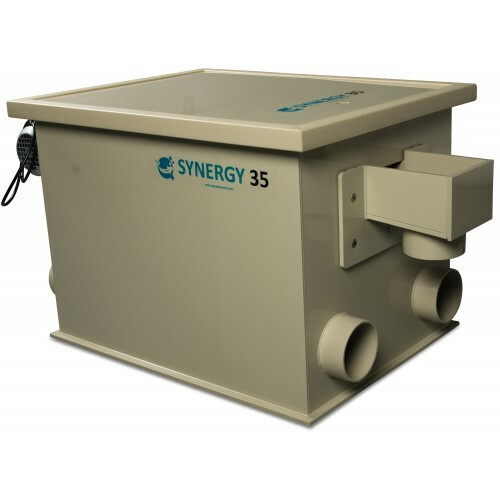 The Synergy Combi 35 Drum Filter has been manufactured to the highest standards and offers excellent biological filtration combined with efficient mechanical filtration, in a single compact unit. The range of Synergy Drum Filters offer a complete solution for modern filtration, with no extras to pay for. The Synergy Drums come complete with Direct Drive, magnetic safety cut off lid, 5.5 bar flushing pump complete with connections, 210nm ultra reliable motor, pull outs which allow the filter to run even if the motor fails, dry run protection and a pre-wired digital control panel. Synergy Combi Filters have a large bio chamber and include the renowned Hel-X filter media for complete biological filtration. 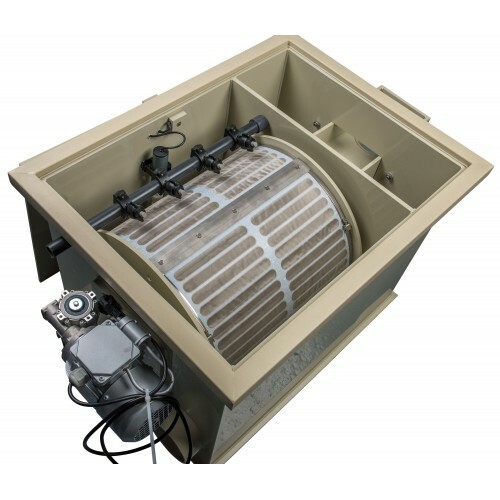 Aqua Source Synergy Drum Filters are covered by a 2 year warranty with spare parts available next day from stock for peace of mind.